Cavity trees like this one make a cool find for humans and provide important shelter for local wildlife. This one is obviously well-used. Here's to catching a glimpse of who may be using this spot! It's been so long since I ate a store-bought egg that I guess I started to take the superb quality of a fresh backyard chicken egg for granted. That was, until last week. Our chickens came out of their winter doldrums in time to become broody and molt. So, we were a little short and everyone wanted eggs for breakfast. So, my husband picked up a dozen at the store. YUCK! As we all sat down for breakfast, we were disgusted. Our scrambled eggs were a pale yellow color with little to no flavor. We could hardly eat them. 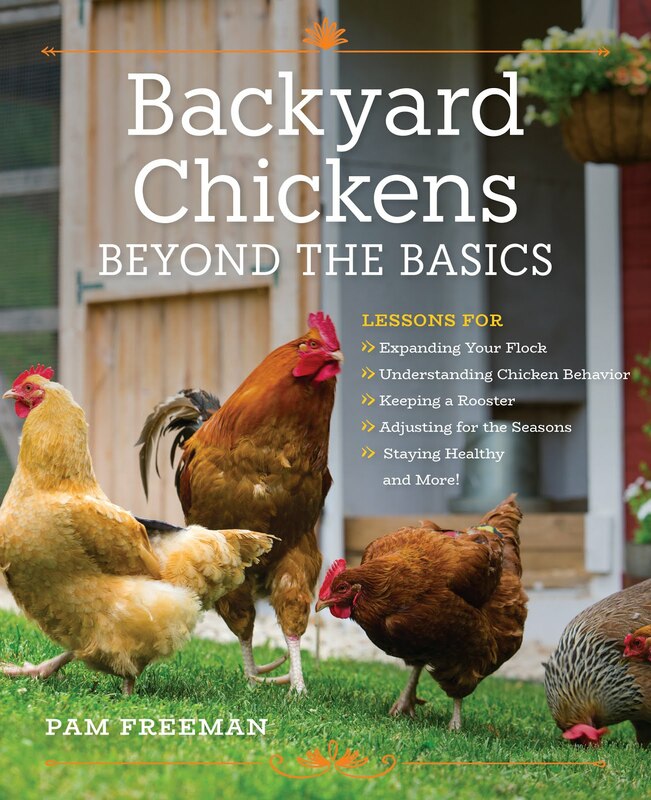 Amongst chicken folks, there's always a lot of talk about how reasonably you can keep backyard chickens. Once you've got a coop and run for them, chickens are pretty economical and they pay for themselves when you sell the eggs. Economics aside, the superior quality of farm fresh eggs is priceless. I'm happy to report that our chickens have started to slowly catch up and we're back to eating our creamy, rich, dark yellow, almost orange eggs. I told my husband that for the rest of our lives, we'll probably always keep a few backyard chickens for their eggs. There's just no way I can go back to store-bought. The egg on top is store-bought; it's pale yellow and much smaller than the farm fresh egg on the bottom. My daughter and I were shopping yesterday and found the cutest rooster garden stakes. Of course, we had to get them! And as I was checking out, it hit me how many times chickens are used in art; especially folk art. Not only are chickens great to have for their eggs, meat and many other benefits. They're also great in art. What a well-rounded and useful animal! I don't know how many of you have been following the Decorah Eagles. I've been checking in every day and enjoying the chat function. In case you're wondering, the three eaglets are doing well. 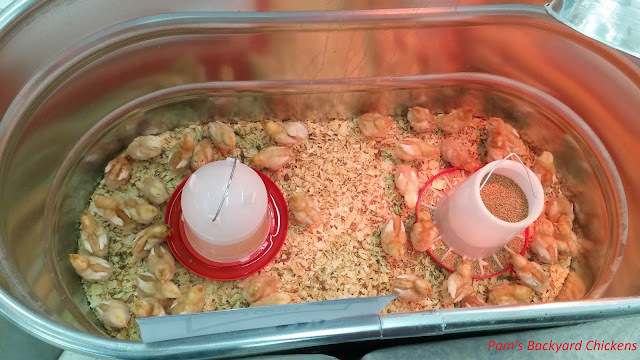 Their black juvenile feathers are coming in and they are now about the size of a chicken. It's really very cool and a special privilege to be able to see and hear these eagles go through this amazing process. So, if you haven't checked in lately, make sure to do so. The link is below. We found a beautiful patch of Mayapples (Podophyllum peltatum) in the woods. Mayapples are curious because their name implies they produce fruits in May but that's actually when their flower appears. The fruit or "apple is produced in early summer and ripens after that.